Be Nice to yourself. It is hard to be happy when someone is mean to you all the time. A secret to happiness is letting every situation be what it is, instead of what you think it should be. Good Morning Freinds. Make your friends happy in the morning by sending wishes. Happy Morning Inspirational Quotations. 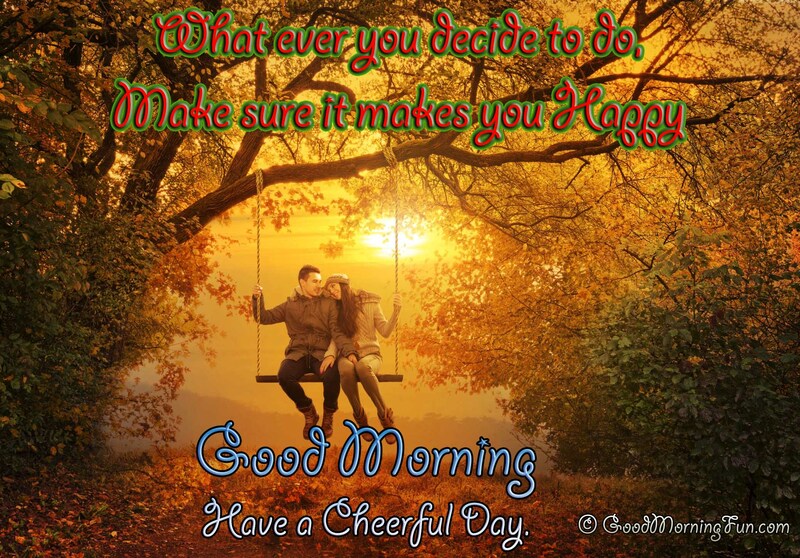 Hey Buddy!, I found this information for you: "Good Morning Happy & Cheerful Motivational Quotes". Here is the website link: https://www.goodmorningfun.com/morning-quotes/good-morning-happy-cheerful-motivational-quotes.html. Thank you.